There’s nothing like the taste of fresh produce! May is a great time to buy local and in-season fruits and veggies which are the most flavorful due to shorter time waiting on shelves and traveling short distances to get to your table. Limes are beginning their season when most other citrus fruits are ending theirs. Limes bring a refreshing twist to many recipes. Known for Vitamin C power—did you know they also contain liminoids which may prevent some cancers? Buy organic, wash and add a ½ teaspoon of grated lime rind to your smoothie. Lemon rind gives it a delicious kick too! Picking tip- choose limes that feel heavy for their size. Avocados (Haas) are especially creamy and yummy! This buttery green fruit is full of healthy soluble fiber, monounsaturated oils, folate, and magnesium (important to protect against diabetes)…Add them to your favorite salad, blend them with salsa, or use as a spread on your sandwich instead of mayo. Picking tip- Fruit should yield to gentle pressure. If hard- place in a paper bag with an apple or banana to ripen. Fresh spring greens are at the end of their season. Catch them before they’re gone! Spinach, Mustard greens, Chard and tender salad greens that are greening gardens and local farms should be represented on your plate. Spinach is both high in nutrients and low in calories. Vitamins C and E, Beta-carotene and many other minerals and phytonutrients–This plant is a big nutritional powerhouse! When picking your greens- choose large, bright leaves. Watch out for yellowing it’s the start of decay. Cherries should start to appear in local markets soon along with the beginnings of berry season, peaches and melons. There is nothing like a warm day with a small bowl of berries or blended into a smoothie. How can so much good stuff be in such a small berry? It’s true! From brain health to cancer prevention these little guys pack a wallop! 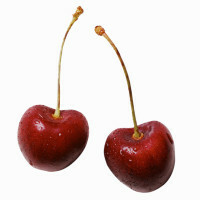 Picking tip- Cherries should have a fresh appearance and be firm. Berries should be firm, plump, bright and clean. Don’t leave out all the other fresh items in season such as apricots, mangos, peas, parsnips, fava beans, green beans, zucchini, beets and onions. All are powerful in contributing to your overall health and disease prevention! Read our Organic and Local foods for more great tips. Click here to learn how to get the most out of your farmers market.